Do you like Prince? Like, a lot? If so, then you may be the prime candidate for this limited edition iPod comemmorating the iconic musician. 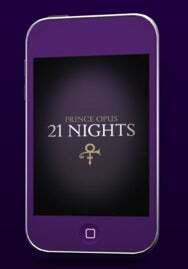 The hardware in question—the Prince Opus iPod—is a purple iPod touch, just 950 of which were made. And what does this magnum opus cost? A mere $2,100. At that price, you’d better be one of the top 950 Prince fans in the world. Don’t worry if the economy’s got you down, though: Kraken Opus also offers zero percent, interest-free financing for all your limited-edition-purchasing needs.